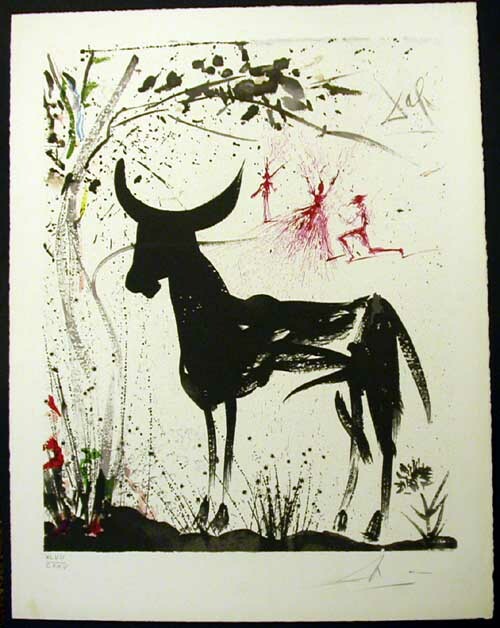 Salvador Dali Anticipation of a Bullfight is a single print. It is part of the Carmen suite. The suite contains 25 lithographs. Carmen is an opera. The suite consists of 25 lithographs. Shorewood Publishers, New York published the book. Dali signed each lithograph in the lower right. The lithograph has a number in the lower left. This number is the tirage number. This lithograph is available individually. The lithograph is authentic. E-mail for Price and condition report. Call us for more information. The lithograph is available for sale.